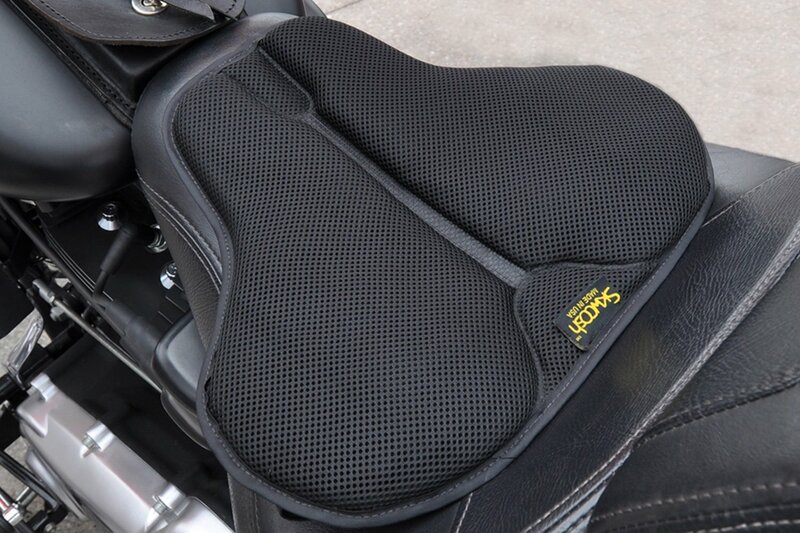 Best Harley Touring Seats Reviews: Top-5 in April 2019! Comfort is the issue with long riding, and touring is all about long rides. 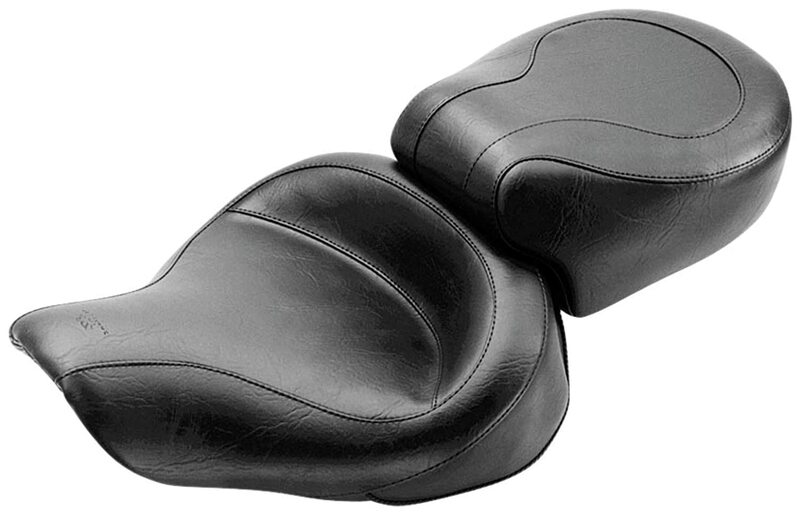 While the original Harley seats are comfortable, the aftermarket seats come with some exceptional designs and standards that do outperform the original saddle. Take into account that older used models come with used (seats) saddles and as such, you might want to change it anyway. Setting up a seat is simple, it’s a matter of unscrewing the mounting bolts in the old one and replacing it with a new one. All aftermarket seat makers for Harley Davidson models use the stock bolt patterns for their seat configurations. Whatever the reason to upgrade or change your seat, there are plenty of options on the market to choose from. Now, the human body is unique for every individual, and sitting is a subjective experience that is perceptive for every rider. When choosing a new seat, you need to consider a number f factors; these are the overall quality of construction, the materials used and the type of seat design. At the end of this review is a Seat 101 that presents the materials used and styles found, but let’s start with the review and look at the 5 best Harley Touring seats. There are names to revere in the aftermarket world, and one of them is Mustang. They have many designs, and when I had to choose one of them, I decided to go with this One-Piece Touring seat with a design featuring a deeply pocketed, wide driver seat that gives a lot of support. The 12.5” wide rear seat is designed to extend forward and over the driver’s bucket giving some additional back support. This design is inspired from the first seat and is a wide and original no-frills style with a 16.5” front bucket that has a full skirt, with a braided trim edge. The design features multiple layers of leather, foam, and cloth all stitched together for a long lasting, constantly conforming ride. If you like the original look, that 1930’s Indiana Jones look, then this is the seat you want when touring. This is an ultra-wide seat and is extremely comfortable over long distances. The XMT MOTO is a Chinese import from most e-commerce sites and is a budget-friendly option for the economically challenged. What you get here is synthetic leather with foam internals over iron with PP (plastic) frame. A classic low budget seat, XMT MOTO provides nice performance and easy to install components. This is a master of perfection; it is a hand made leather artisan seat from the house of La Pera. 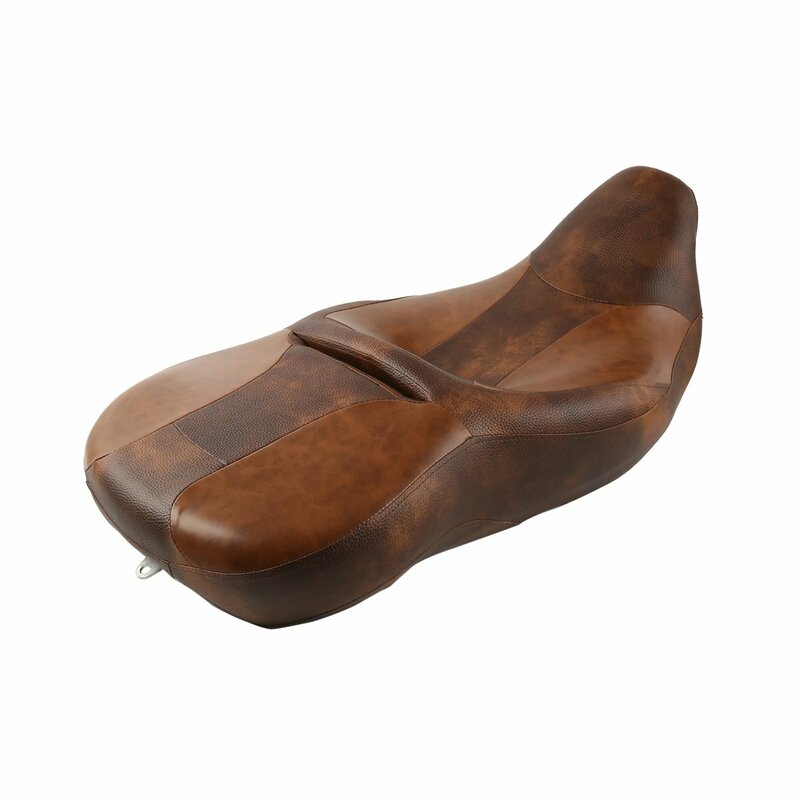 This is their Aviator model that comes to deliver a midrange seat size of 13” wide with a 5” back support. The Aviator is the seat sandwiched between their Monterey solo touring seat and their Bare Bones thin low seat. La Pera has over 50 years of artisan craftsmanship designs, and there are models here that cost as much as a new bike. These are hand crafted to perfection, like a Rolls Royce, each and every seat is made from hand-picked materials, soft leathers stretched over smart foam that is attached to steel frames. The price is right, it’s not up there in the sky, but you are getting an up there in the stratosphere type of seat. It’s hard to compete with perfection, so it’s even harder to compete with a La Pera. This is the SKWOOSH Classic Gel with Breathable Fabric for 2006-2018 Touring. In every category, there is one fabricator that has to stand out and be different. This is where SKWOOSH™ stands. 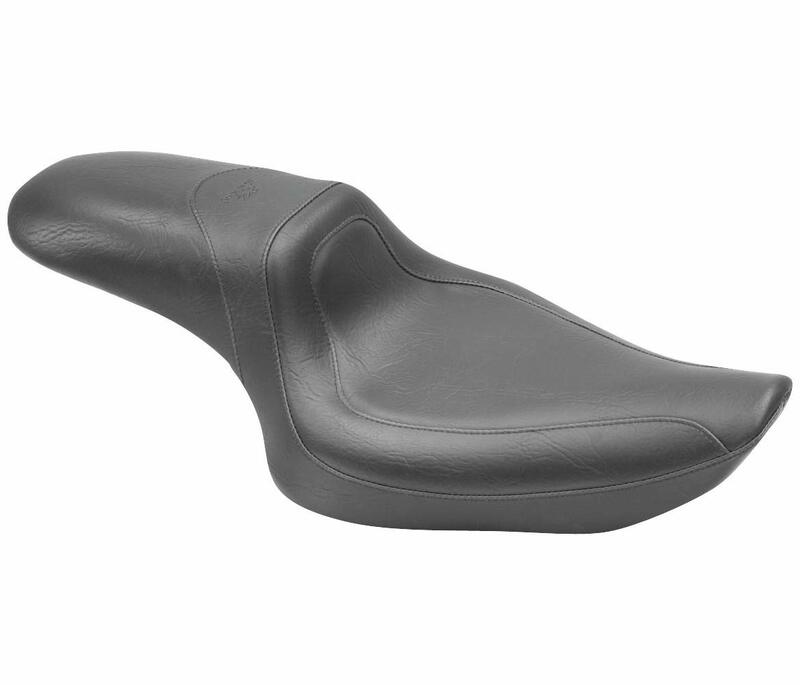 This is the SKWOOSH™ motorcycle gel seat that is not designed like normal seats; this is not a normal seat. It’s a cushion for a seat! 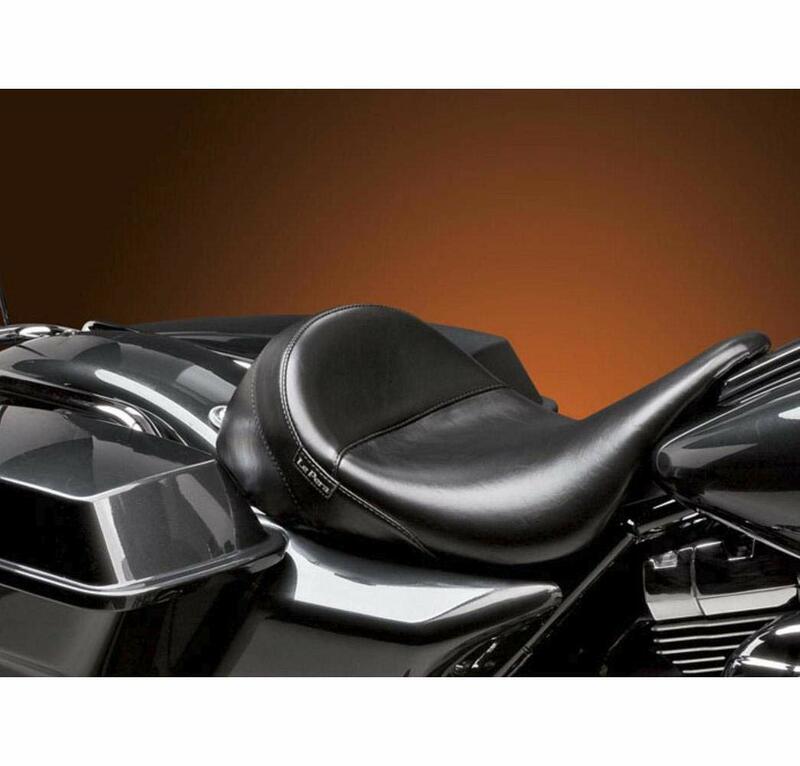 The SKWOOSH™ is a gel-filled seat that retains its cool softness during and after every ride. It is designed with layers of materials and fabrics that no one else dares work with, only because they haven’t got a clue how to work with them. SKWOOSH™ construction features a draped cushion combined with gel packs that maintain the stability and delivery of comfort performance at all times and in all conditions. These packs are covered in sporty Breathable AirFlo mesh fabric. The design features air channels that force airflow through the seat maintaining a cool ride at all times. These pads are made using the SKWOOSH™ TekPad® gel that conforms to your “riding shape” in less than 30 minutes. When you buy a SKWOOSH™, make sure it’s to size, this means that it sits under your tailbone area, only then will you reach optimum performance and truly experience a ride that is just heavenly. Yup, good shocks and a SKWOOSH™ and you have a bike that feels like its riding on clouds. 2006-2018 Harley Davidson Touring and all other models and variants. This is a must-have item, it’s in a league all of its own, and no matter what seat you have, add this, and you will never sit on a seat directly ever again. The Mustang Fastback™ is a very simple design aimed for a budget-friendly experience with a classic super clean, customized low-cut riding style. This simple to attach and even easier to ride seat is a classic touring model that delivers great long-range comfort. This model is designed with an 11” front and a 6” rear. While it is made of top grade materials, the rear passenger seat is more for looks than comfort. So if you are planning on a long road trip consider adding a cushion for the passenger. This is a budget-friendly seat, it’s a great touring model for solo riders, but comes with a small passenger addition, more of a consideration than a comfort. Now, before you go and change your seat consider the possibility of just restoring the original, that is if you liked it. This can be done very easily in most seat shops. All they do is take off the cover and filling, place in a new filling, cover up the seat and presto, as good as new. However, if you are seeking something new, something to change the ride experience, then you need to change your seat, and this is what this 101 is all about. How to change your seat. All seats, or at least the best ones are constructed using a single baseplate that can either be constructed out of one complete unit including rider and passenger, or it can be two unit connected, one for the rider and one for the passenger. Aftermarket baseplates will come in one of two materials; reinforced fiberglass or epoxy powder coated 16-gauge steel tube. The baseplate has to be solid, it’s the foundation of your seat, and as such, you need to be sure that it is solid, rugged, and will withstand years of pressure, vibration and use. It must also be designed to have the exact corresponding holes for attachment to the bike factory settings. Make sure that the Polyurethane rubber bumpers are strategically located and riveted to the baseplate. The edge of the material must be hemmed or stitched and not just cut off with ragged edges. The edge of the cover material should be hemmed, not just cut off and left ragged. There should always be a label with the manufacturer’s details and the fitment for the seat, and there should be installation instructions with all the hardware required. The filling is the cushion, this is the comfort zone, and there are many types of filling to choose from. In most cases the filling is a type of foam, this can be a cheapo thin layer or an expensive smart foam that conforms to the body as it sits into shape. There are also new age gels that are entering the market today, but these are not yet fully realized. There are two grades of foam, open cell and closed cell. Open cell is soft and closed cell is hard. Most aftermarket fabricators have proprietary foam blends that mix the open and closed characteristics to provide a “1,000-mile days ride” with continuous comfort. When buying a good seat, there should be no “break-in” period, either the foam is good or its bad, there is no middle ground. If you find a Gel-based seat, check for its integrity and brand, the gel will always outperform foam, just as titanium outperforms steel and aluminum. The gel is what engines did to horses; it replaced them. The cover is what you see, and it must be to your taste. Since covers are subjective, all that matters is not how it looks, but how it lasts. As such, you want to make sure the cover is made from real leather or a very strong and reliable synthetic. If you are buying a synthetic, make sure it breathes, or you will have a very wet ride. Make sure the finish is tight, and the seams are neat. If you see frayed sides or bad seams, pass it over. A tight fit means the seat won’t move or rub when you sit on it. Duramax Fuel Filters – Buyer’s Guide!